We all have different reason for wanting our fifteen minutes of fame. Whether you’re looking for personal glory, attention for a deserving cause, or great press that will boost your company’s image (and profits), Howard Bragman can show you the way. Nothing gets something or somebody the desired attention better than a solid public relations plan. According to PR expert Howard Bragman, getting that “15 minutes of fame” — a term first coined by artist Andy Warhol to reflect the fleeting nature of celebrity — is all about building a positive public image. Developing that image can be made much easier with the help of a few basic actions that can draw the attention of the media and the public to whatever it is we’d like to show them. 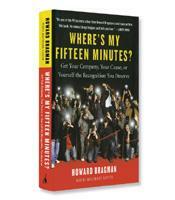 Bragman, the CEO of the Fifteen Minutes PR agency and founding partner of Bragman Nyman Cafarelli (the largest entertainment PR firm in the world), has spent many years developing the best steps to a successful PR plan by working wonders for celebrities, companies, events and politicians from around the globe. Telling compelling stories about the famous and infamous, Bragman shows how the best techniques for getting publicity work in the real world. These stories offer sage advice for people who are trying to create a public reputation for themselves or their organizations. Bragman’s experiences offer insights that anyone can use to develop a media campaign, build a Web site, handle an interview or get a grip on an unfolding crisis. 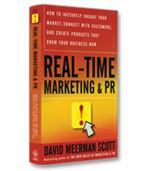 Many of the basics of public relations that you have heard before are contained in Bragman’s book. For example, he reminds people to dress for the job they want, not the job they have. But he also takes classic advice to the next level by reminding readers that making an impression goes deeper than clothes. He tells people to follow some of the other tips that many celebrities have already embodied, such as removing the “demarcation between their public and private lives.” Since we are always being judged, he explains, we must always “look credible, presentable, clean and appropriate” whenever we are in a public forum. In addition, he also professes the importance of being prepared, punctual, professional and polite. “It’s better to be 30 minutes early than five minutes late,” he advises. One lesson Bragman writes that he learned by watching Angelina Jolie is to take time during an interview to compose a clear answer to an unfamiliar question. Instead of blurting out a rapid response to impress an interviewer, he tells interviewees to take a moment to compose a more thoughtful answer and then deliver it with confidence. From his extensive work with the Hollywood elite, Bragman has compiled many important skills that can help anyone make a better impression. He points out that building a strong team to surround you is vastly important in any industry. In addition, he adds this important tip: Once you have a diverse team at your side, listen to them. If their opinions are not worth listening to, then they are the wrong people to have around. He also writes that you should encourage differing opinions by making it acceptable to disagree with you. Where’s My Fifteen Minutes? Get Your Company, Your Cause, or Yourself the Recognition You Deserve is filled with the same advice about dealing with audiences and the media that Bragman has given to numerous stars, victims of misfortune and unknowns who seek the limelight. His honest and good-natured perspective on giving speeches, crafting a vision, targeting an audience and preparing publicity offers readers a plan that can help them succeed during any public appearance. While reminding readers of the cornerstones of PR, such as “perception is reality” and “create a brand,” Bragman also offers lessons that fly in the face of many common catchphrases, such as “all press is not good press.” As a reminder, he points out that Michael Jackson knows this lesson well. Bragman aims to help readers be prepared for publicity of all varieties. Along with his many examples of what great PR has to offer, Bragman never forgets the importance of the humanity beneath the public image. By offering numerous ways to improve a public image, and explaining how mistakes are part of the program and opportunities to learn, Bragman helps to turn the stress of public contact into an improved sense of confidence.